It is Thanksgiving and families everywhere are gathering together to feast and celebrate the things in their life they are thankful for. It is one of my favorite holidays because it doesn’t really have an ulterior motive or underlying seed of selfishness. There are no expectations of gifts, it is all about the three F’s: Family, Food, and Fun. As I sip my coffee and ponder the blessings in my life and home, I realized that I really have the ability to create a content and thankful heart both for myself, but an atmosphere that permeates this entire home. I want that for ME, I want that for my husband, I want that for my children. Taking the time to focus on what I HAVE in a world of things I NEED and WANT, protects me from discontent and bitterness. 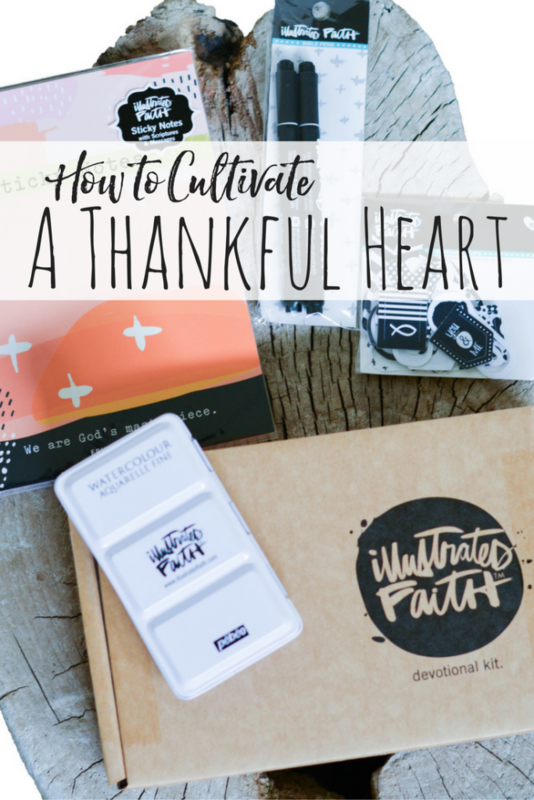 Keep reading to find out how I am cultivating a thankful heart this month PLUS a free printable! I have found three practises, habits if you will, that remind me regularly of the gifts in my life and build a thankful heart. Listing is simple, yet the process of writing it, seeing it, reading it… somehow it just sinks in. I keep a gratitude collection in my bullet journal and often write little notes to myself when I think of something I am thankful for. Our words are powerful, when we speak we have the power to encourage and bless or discourage and tear down. 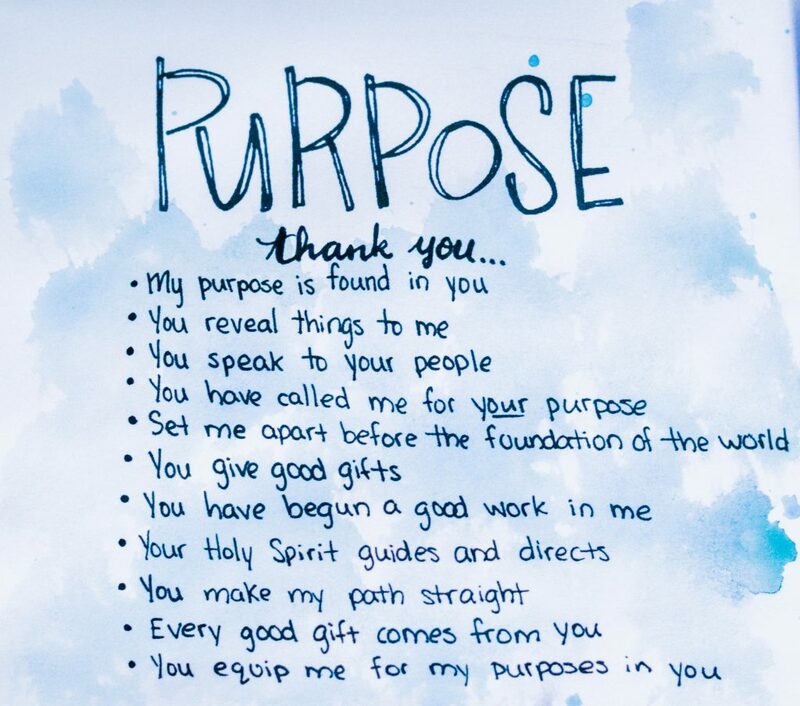 I think we underestimate the power of speech and I think that especially when it comes to ourselves, it is easy to pine and whine rather than be purposeful about speaking blessing. Partly because it is part of our culture, every commercial on TV tells us what we need, what we don’t have, what would make us happy IF ONLY. I encourage you to speak out, every day, 5 things you are thankful for. When you notice something, say it! It WILL start to change your very heart and attitude towards your possessions and life. In the beginning, finding things to be thankful for is hard because it isn’t something you are accustomed to taking the time to notice. It is a daily practise of actively seeking out the good, the joy, the treasured moments in a sea of chaos. You have to become intentional about it! This month, when my Illustrated Faith Devotional Kit came in the mail, I was giddy with excitement. The colors in this kit are my all time favorite, the silver ink pad is to DIE for and the stamps are ones I can use over and over again. But what I loved most about this kit was the devotional. It is SO simple this month, with different titles and then areas for you to write in or journal in or list in. Some of the topics have been challenging for me to fill in, they force me to get creative, to think outside the box. These devotional kits come out each month and have given me space to journal, paint, doodle, and just creatively express myself. They are my favorite package that comes in the mail and right now you can get them at a discount PLUS use coupon code: FRIDAY16 for 30% off your cart HERE. 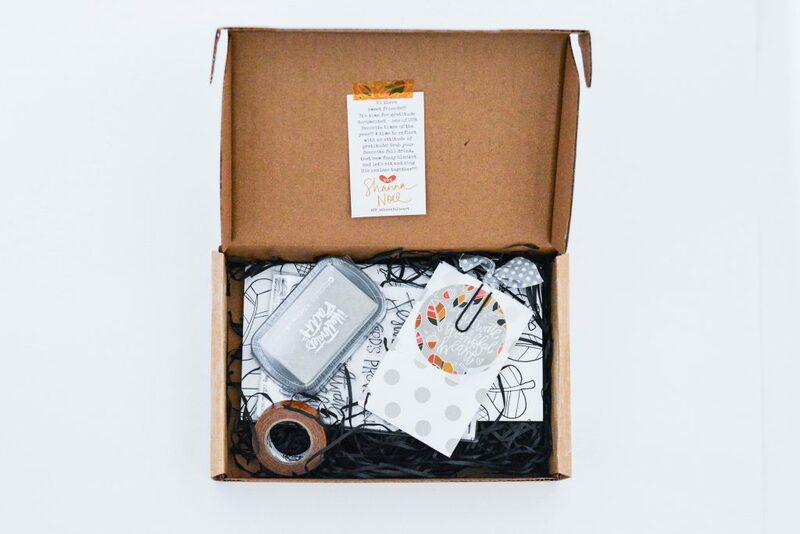 Illustrated Faith not only has beautiful, customized devotional kits, but everything you need for Bible Journaling. I just purchased a beautiful journaling Bible for only $40 that I am giving as a gift this season (check out some of the gift ideas HERE)! They also have all the supplies you need, such as watercolors, waterproof markers, stickers, Bible tabs, washi tape, and more! One of the things that I enjoy looking at when a new kit comes in is what people have done with the pages. I wanted to show you three very different sections in this month’s devotional. One I spent a lot of time on, I painted it, hand doodled it, and then spent the time filling it up. It is by far my favorite gratitude spread (so much so that it inspired the free printable at the bottom of this post). 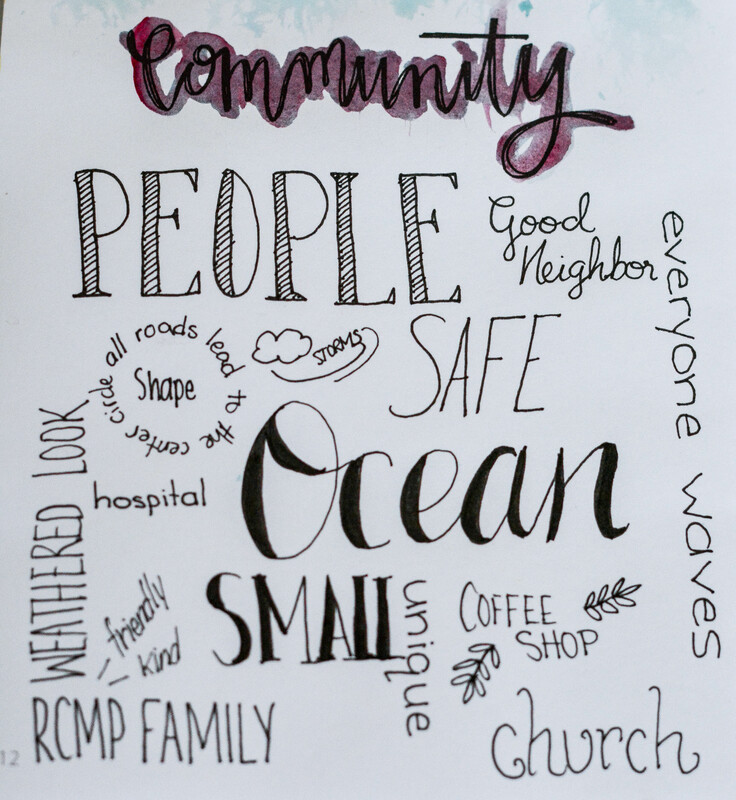 But I also wanted to show you one where I just did some hand lettering and another where I simply listed off the things I am thankful for. 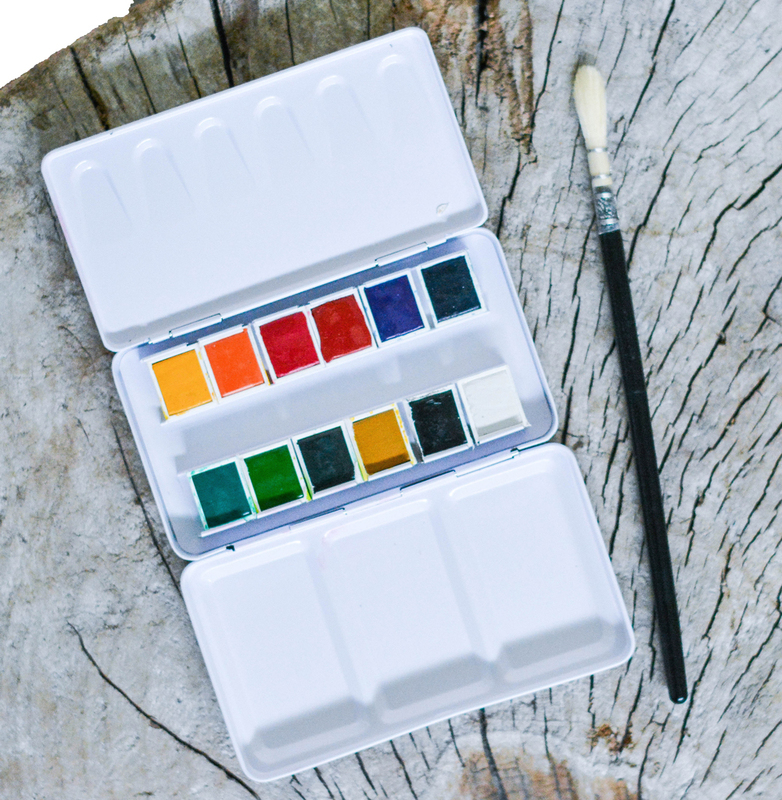 The point of these kits is not to overwhelm you with unattainable artistic endeavors, but give you the freedom to find what works for you! 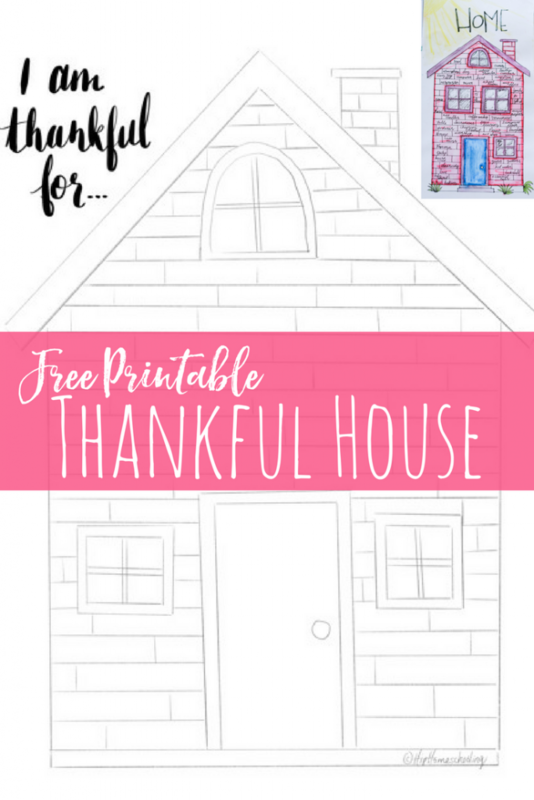 I had so much fun with this thankful house that I wanted to share it with you guys! 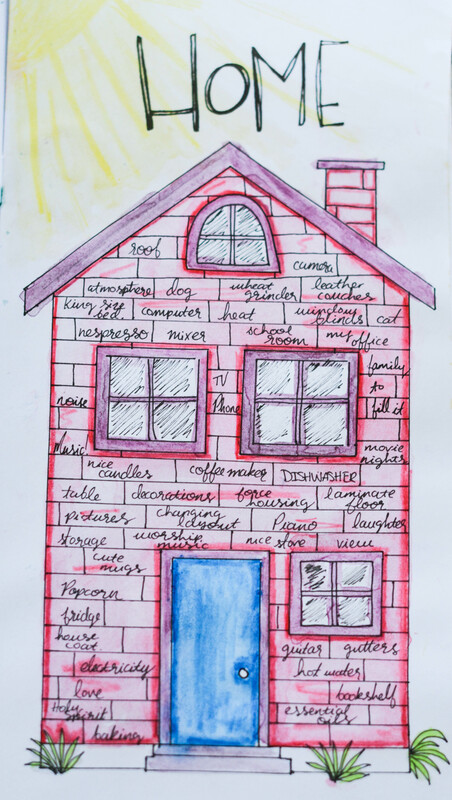 Whether you use this or your kids, you can write in the bricks things you are thankful for around or in your home and paint it however you would like (or color it). It is a free gift for my subscribers, so put your name and email in the box below and you’ll automatically be sent your link! How do you cultivate a thankful heart?